We live and work in Flint, Michigan. Our city is a minority-majority city that is deeply economically distressed. Flint’s challenges over the last few decades and its slide from one of the wealthiest cities in the United States to one of the poorest are iconic of challenges faced by other Rust Belt communities including Detroit, Gary, Youngstown, Cleveland, Saginaw, Dayton, Buffalo, Cincinnati, Pontiac, Canton, Toledo, Akron, Milwaukee and parts of Pittsburgh, St. Louis, and Chicago. Despite its challenges, Flint has a long positive history of community activism and involvement, characterized by the 1936 Flint sit-down strike at General Motors. Activism continued through grass-roots community health efforts, which strengthened in Flint as the formal public infrastructure crumbled. 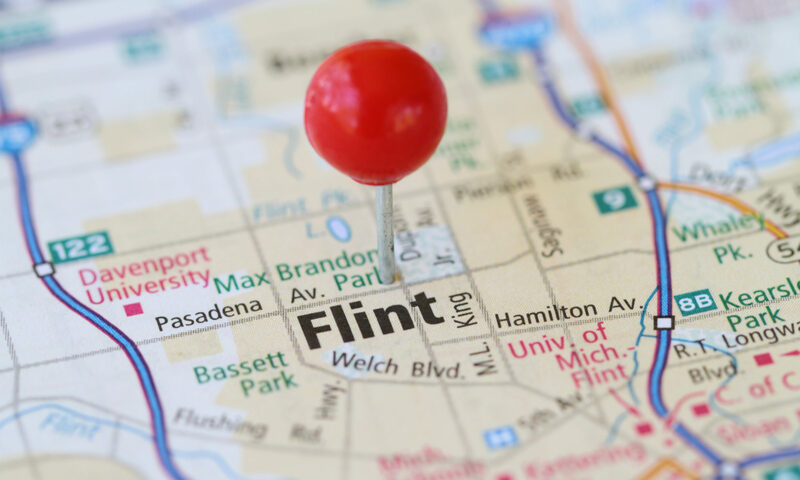 In 2004, community and health organizations from the Flint area decided that a strong medical school presence in Flint would help address pressing public health issues and drive economic revitalization in the city. Community members met with the Flint-based Charles Stewart Mott Foundation, who commissioned a feasibility study and approached Michigan State University’s (MSU) College of Human Medicine (CHM), based 48 miles away in East Lansing. They determined that a community-participatory public health focus was compatible with both the city’s needs and with MSU’s mission. The feasibility study concluded that Flint was a good site for public health research because it was big enough to matter and small enough to make changes and see results. Based on survey results, a Community Research Advisory Board advised MSU CHM to focus its efforts on recruiting public health researchers in the areas of chronic disease, behavioral health and healthy behaviors. They strongly recommended the effort focus on intervention research, with particular attention to health disparities and health equity solutions. The Public Health academic build in Flint is truly unique. Michigan State University College of Human Medicine has a campus in Flint because the community wanted it, funded it, and helped to shape it. The University of Michigan (Flint) campus has directed public health practice and research in Flint for more than 30 years. The University of Michigan (Ann Arbor) has supported research and outreach in Flint for decades and helped to address some of Flint greatest structural and behavioral health challenges. The Flint Center for Health Equity Solutions connects these academic institutions with community-based organizations to work in full partnership, creating sustainable health equity solutions in Flint.